A fire broke out Sunday in an apartment building in the 700-block of Irving Park on the city's North Side. 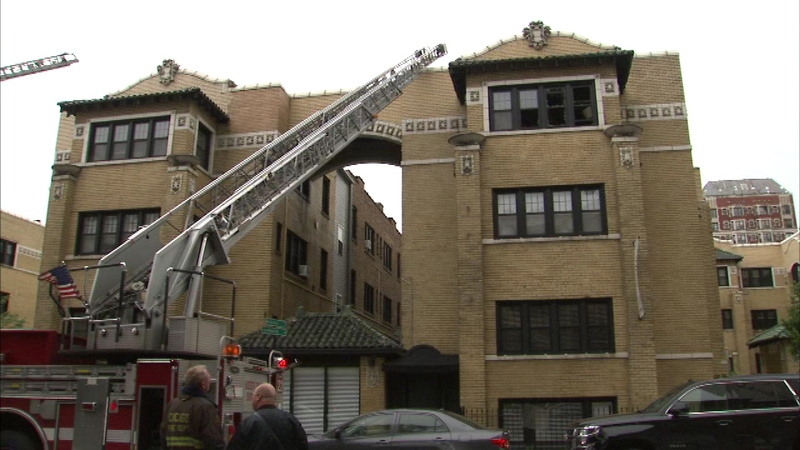 CHICAGO (WLS) -- A fire broke out Sunday in an apartment building in the 700-block of Irving Park on the city's North Side. Witnesses said they heard some popping noises and saw smoke when they looked out the window.